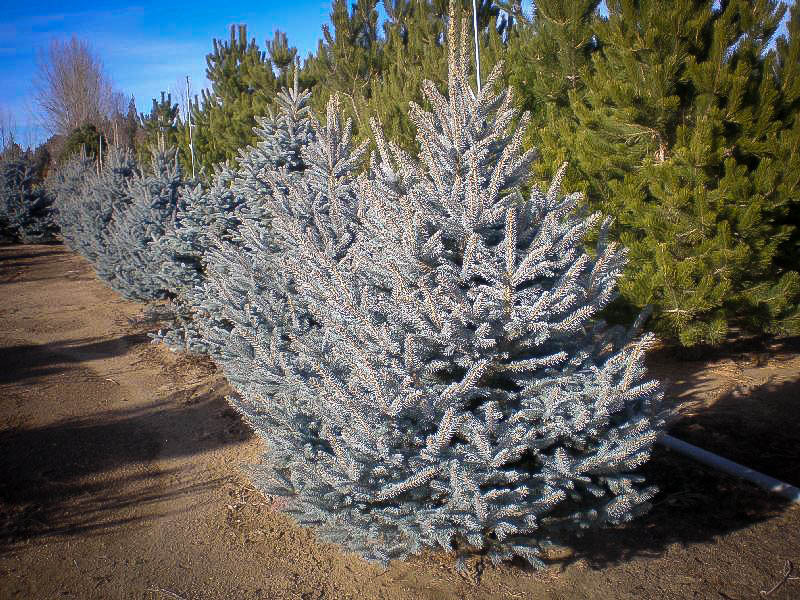 The Fat Albert Blue Spruce is a tough, very cold-hardy evergreen tree with brilliant silver-blue needles that is attractive all year round. 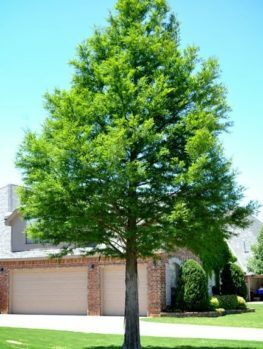 It forms a striking smaller tree with a broad pyramidal shape that will fit perfectly into any garden, even in exposed locations. It is resistant to air pollution, deer, rabbits and other problems, so it will grow well in the city or in the countryside too. 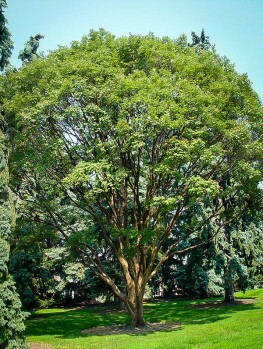 For that perfect specimen in your yard, or to fill a corner near the house, this tree is ideal. It can also be used to make a medium-sized privacy screen, growing a foot a year to soon fill in that ugly view and give you garden a pleasant and private atmosphere. Even if you never garden, the Fat Albert Blue Spruce is so trouble-free it will grow anywhere. The Fat Albert Blue Spruce will reach 15 feet in about ten years, with a width of about 10 feet, making an elegant and striking feature in any garden. With no significant pests and hardy to minus 50, this is the perfect no-maintenance tree for the coldest parts of the country. It needs no clipping to keep perfect symmetry, remain compact and fully-branched right to the ground. 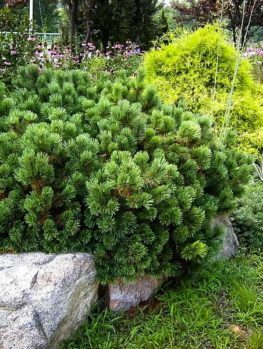 Evergreens are basic plants you cannot be without, especially in cold northern areas where they brighten the garden through the long winter months and look beautiful garlanded with snow. Rich blue needle-trees are a great choice, since the bold color makes a lovely contrast with the softer greens of other bushes and trees. 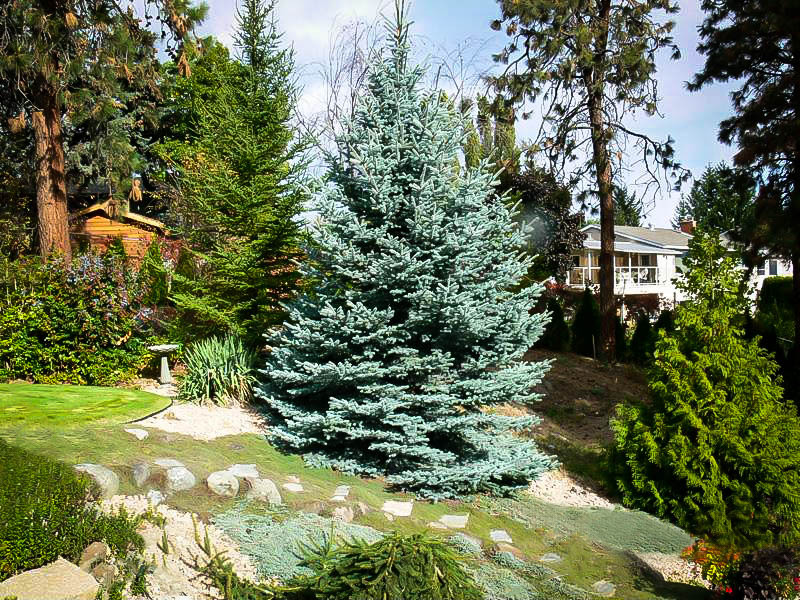 The Colorado Blue Spruce is greatly admired by everyone, with its perfect conical form and the Fat Albert Blue Spruce is undoubtedly the very best you can get. This variety has a rich blue color on the needles and a broad, dense form that looks perfect in any garden. Plant it as a lawn specimen; in the angles of your house; to define the corners and boundaries of your property; or as a solid and hardy privacy screen. Whatever you do with it, this reliable and hardy tree will bring beauty and color to every garden. 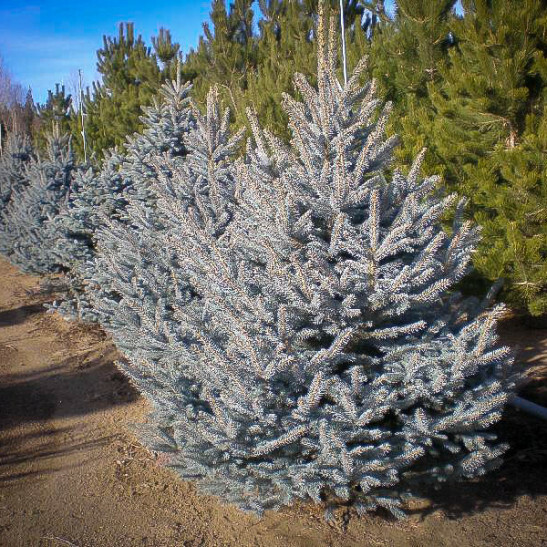 The Colorado Blue Spruce is among the most popular trees grown in colder areas. 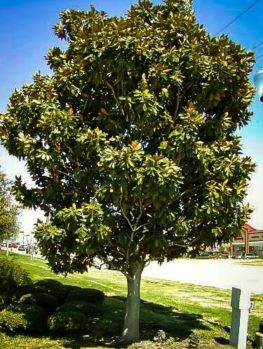 However, there are many kinds and a lot of the trees seen in garden centers have been grown from seed, so their color and form are variable, and you really don’t know what kind of tree you are going to end up with in your garden. 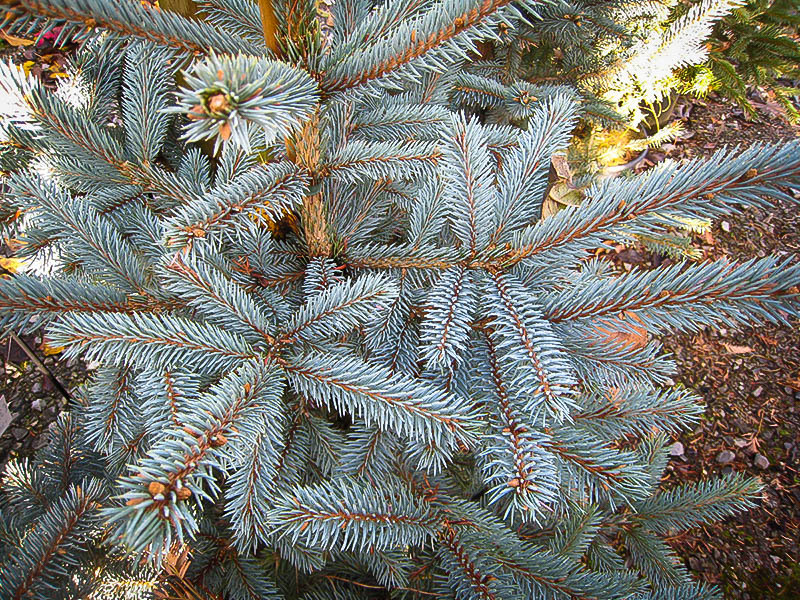 So it is much better to choose a named variety, with predicable habits, and of all the named spruce varieties available, the Fat Albert Blue Spruce has to be the pick of the crop. The Fat Albert Blue Spruce will grow large enough to make a real statement in your garden, or form a tall and sturdy screen, but not so tall that it will overpower the garden and leave no room for anything else to grow. With its wide form you can space them further apart in a screen and so need fewer trees, or it will fill a corner of your property perfectly, staying full and dense right to the ground for decades. The Fat Albert Blue Spruce forms an upright tree, with a strong central stem and branches radiating horizontally from the ground to the top of the tree. It makes a broad pyramid almost as wide as it is tall, with real character and ‘presence’ in your garden. The branches are covered with dense needles about one inch long, growing all around the branch and the needles are a rich silver-blue color, making this tree really stand out in the garden and contrast beautifully with other green plants around it. It does not have flowers, but older trees may produce attractive cones 3-4 inches long. 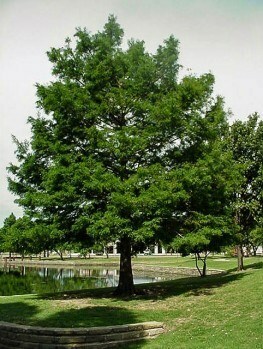 The tree will grow steadily, adding about 12 inches each year, eventually reaching 15 to 20 feet in height. 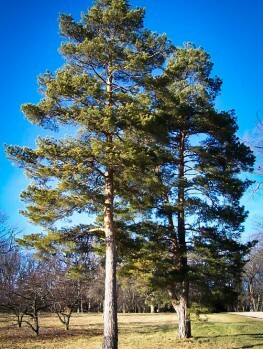 It will be a broad pyramid, almost as wide as it is tall, with branches right down to the ground for many, many years. 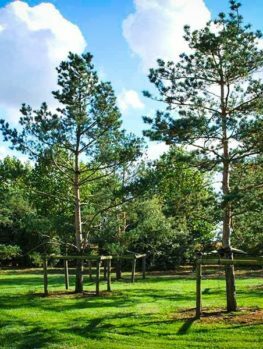 Plant your tree in a sunny or partially-shade location in any part of your garden, and allow enough space for it to spread sideways without crowding. This tough plant will grow in most soils, but avoid areas that are always wet. During the first couple of years water your tree regularly, especially during hot, dry weather and just before the ground freezes in early winter. Once established it will need very little if any care and will thrive for many years with no attention needed. It can be trimmed to control the width, but do not cut back into areas that have no needles on them, as branches without needles will not re-sprout. Regular, light-trimming, if you wish, is better than heavy trimming. The Colorado Blue Spruce is a native American tree that grows through the Rockies, from Colorado and Montana to New Mexico and Arizona. It grows at high altitudes, so it is amazingly hardy, surviving winter temperatures of minus 50 degrees. This means that wherever you live, no matter how cold your winters are, the Colorado Blue Spruce will grow well for you. Not only is it cold hardy, but it will grow in almost any soil and once established it is remarkably drought resistant too, so even in the dryness of summer you will not need to worry about your tree. 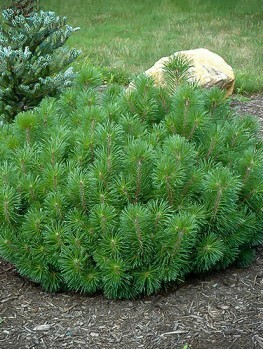 This special blue spruce was developed in the 1970’s at the Iseli Nursery in Oregon, specialists in breeding conifers. They selected this plant from among hundreds of seedlings, so it can only be grown by attaching selected stem pieces to the roots of seedling trees. Trees grown directly from seed will be variable, so avoid disappointment and cheaper seedling trees and buy the real thing from the Tree Center.